For more details of Swanage Click Here! During the last few weeks the team has been making good progress with the new Cold War documentary and the more we probe and film the more we’ve come to realise how important recording this relatively recent history is. So far we’ve been blessed with some superb interviewees and astonishing locations. To mark 40 years of the vintage paddle steamer Waverley visiting the River Thames we are delighted to have been working again with Chris Phillips and Heritage Ships Films. Waverley remains the last sea-going paddler in the world and has earned a unique place in maritime history. This programme, featuring stunning aerial shots and wonderful archive footage, is available to buy on DVD from Heritage Ships Films and will shortly be available through our OnDemand streaming service. We recently had the huge pleasure of being asked by writer, director and actor James Murray to work on his short film IN FAMILIA featuring veteran actor Robert Hardy and Nina Sosanya. It was a real privilege to be involved and as it happens proved to be Robert Hardy’s last performance – he died shortly after, in August 2017 aged 91. [June 2018] We are very pleased to announce work has just started on a new documentary about the Cold War. Working with our colleagues at Wattisham Station Heritage in Suffolk, the film will include a variety of Cold War installations dating back to the 1950s and 60s previously surrounded in mystery and secrecy, together with interviews with people who served in the military at that time and civilians’ first-hand accounts. The programme will illustrate the key role played by the RAF at Wattisham Airfield and other locations in East Anglia, often regarded as the Front Line during a very dangerous period in world history. More details will be posted as we progress, both here and via Facebook. This year we began our new Video on Demand service powered by Vimeo. The ultimate Challenge is the second title after Wattisham: Both Sides of the Fence to be available on demand. You can buy the whole series or individual episodes, stream for a limited 48-hour period and, of course, the programmes are still available to purchase as a double DVD. Viewpoint Productions scoops another RTS Award!!! We have received an RTS Award for our recent documentary film Wattisham Both Sides of the Fence. This is our third RTS award and we are absolutely delighted!!! Judges described the film as “…a well told and well covered oral history – it is hugely watchable.” We would like to thank everyone who contributed to the programme both as interviewees and behind the scenes. Also a huge thank you to the Army Air Corps for providing such generous access to the Base and of course, the RTS. You can watch the trailer, stream the programme via Video-on-Demand and buy the double DVD by clicking below. Wattisham – Both Sides of the Fence is LAUNCHED! 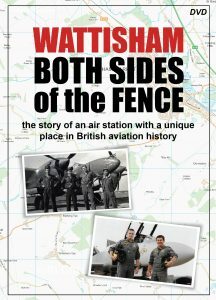 We are very pleased to announce the launch of Both Sides of the Fence – the story of Wattisham Aerodrome. This has been a long and on occasions, exhausting project and we have loved every minute! Well virtually every minute. It’s a sad fact that two of the elderly contributors who gave interviews concerning the earlier years of Wattisham’s history have passed away since recording. Whilst this is sad and our thoughts are with their families, it has highlighted further the importance of making the programme, both for today’s audience and generations to come. We would like to thank the Army Air Corps for their fantastic support and allowing us access to make the film and Maggie Aggiss and Keith Rimmer from Wattisham Station Heritage who co-produced the project. And, of course, all those who contributed on-screen and off. A double DVD of the film is available through the online shop. Scroll down to the Blog below to watch the Trailer. That’s by no means the end of the story – there’s more Wattisham Aerodrome and aircraft-related history to come! 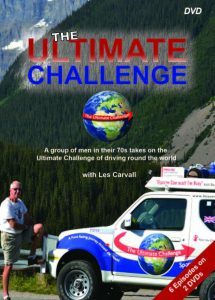 Ultimate Challenge 2 is launched – it’s HUGE!!! Kingswear Castle is Britain’s last coal-fired paddle steamer. Beautifully restored she now steams once again on her native River Dart in Devon. This is the full story of this historic vessel from her origins through decommissioning and restoration, her days on the Medway steaming from Chatham and the most recent chapter, her triumphant return to the Dart after decades of absence! Features excellent private archive footage and compelling interviews with those who were there and her operator today. Sarah Parish and her husband, fellow actor James Murray, recently launched their charity, The Murray Parish Trust. Viewpoint Productions was commissioned to make a short film about the Trust. The charity is working to support the building of Southampton’s new Children’s Hospital, with initial emphasis at on the Paediatric Intensive Care Unit (PICU), in honour of the couple’s late daughter Ella-Jayne. Viewpoint Productions is delighted to have been chosen to work with Wattisham Station Heritage to produce a broadcast quality documentary featuring the historic Wattisham Aerodrome in Suffolk. The Aerodrom was built in the 1930s on requisitioned farm land in anticipation of the Second World War and famously became home to Blenheim Bombers, P51 Mustangs and later the Phantom Jet. The world-renowned Black Arrows Display Team was also based at the Station. The programme is set to include a variety of significant interviews from ,both sides of the fence’, as well as archive footage and reenacted scenes. Programme is scheduled for release to mark the 80th anniversary of Wattisham Aerodrome in September 2017. P&O Cruises recently celebrated 175 years of heritage, a huge landmark in maritime history and Viewpoint Productions were asked to produce a programme that traces the early years of P&O through to P&O Cruises today. In this specially commissioned film we look back to the company’s founding and early line voyages , though life at sea in past eras to the evolution of Britain’s favourite cruise line. Exclusive interviews and compelling archive. Steaming Round Wight features Waverley, the last sea-going paddle steamer in the world, as the vessel takes us on an informative guided tour around the Isle of Wight’s historic coastline with commentator Chris Phillips. 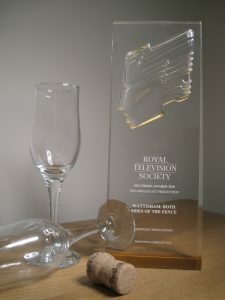 To receive one Royal Television Society Award is good; to receive a second is a real honour. Viewpoint’s first was for Best Factual Programme and this one is for multi-skills in programme production. We are well and truly chuffed!! In May 1937, at the onset of the Spanish Civil War, more than 30,000 children were displaced, leaving their families and homeland for refuge abroad. Four thousand, known as Los Ninos, came to Britain. They arrived at the Post of Southampton and were housed temporarily in a make-shift camp at Stoneham before being sent to homes around the UK. Directed by Steve Bowles, this is their story, told by them and illustrated with rare archive footage. Presented as a double DVD with a second programme featuring modern day exiles who have found refuge in Britain, the material is divided into modules for use in education. If you work in education or have a special interest in this subject, please contact the Education Officer at Hampshire Record Office (01962 846141). Viewpoint Productions has helped in the production of a new BBC TV archive series Home Movie Roadshow. The 5-part series for BBC2 was produced by Diverse Production and looks back at life across the decades through personal archive footage. An RTS Award for Viewpoint! We are very proud to announce we have received the Royal Television Society Award for Best Popular Factual Programme for the documentary Regal & Retired – the Story of RMS Queen Mary. A panel of 17 judges voted unanimously for the programme and Director, David Ellery, received the award on behalf of Viewpoint Productions at the RTS annual awards dinner. We would like to thank everyone who took part in the programme on both sides of the Atlantic! Their Past Your Future is an educational double DVD produced for Archives and Social Studies at the Hampshire Record Office for use in schools. The Programme features a collection of case studies across a range of Hampshire schools. Each undertook a contrasting learning cycle researching their community’s connection with world conflict since 1914 and learning why we hold Remembrance Day and associated activities. Viewpoint Productions has been commissioned to make a 30-minute documentary for BBC One as part of the BBC’s Railway Season. Presented by Joe Crowley, the programme takes a journey around the south of England and discovers how Beeching’s axe changed people’s lives and the very landscape itself. From East Grinstead where Beeching lived, through Lancing where 2000 people were made redundant, to Hayling Island, Shillingstone and the Isle of Wight and the restored station in Horsebridge, Hampshire. Interviewees include broadcaster and writer Nicholas Owen and artist, conservationist and steam enthusiast David Shepherd OBE. Programme now available to buy in the online shop. RMS Queen Mary is the last surviving 1930s ‘superliner’ left in the world. Viewpoint Productions has produced Regal & Retired – the Story of RMS Queen Mary for BBC television. The programme includes a significant quantity of archive footage, much of which is new even to those familiar with the ship’s long history. The programme was shot on location in California (where the ship remains today), Scotland and Southampton and features 20 exclusive interviews. Viewpoint Productions is delighted to have been selected to produce a landmark resource for education. The Living Album is an educational DVD used in schools across Hampshire and beyond. It is split into five modules with distinct themes like Historic Background, Fairs & Gatherings and Youth Culture, and includes teaching notes. We’ve had the great privilege of working closely with the Gypsy Traveller Community while making this film. The DVD Programme is not commercially available, but if you work in education or have a special interest in this theme, further details can be obtained from the Education Officer at Hampshire Record Office (Tel: 01962 846141).